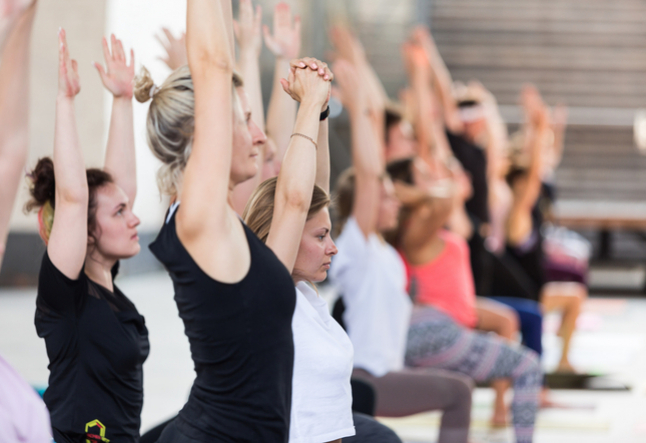 If you have the burning desire to become a yoga teacher, you may want to explore this article to learn why a teacher training course is a great route to achieving that goal. Already in existence for 5000 years, yoga continues to gain popularity and shows no signs of slowing down. This systematized collection of rules is designed to achieve a healthy and balanced body, mind, and spirit - something we all desire. A dedicated practice produces numerous tangible and intangible health benefits (including a stronger nervous system, better bone density, greater immunity levels, and heightened wellness) as well as mental clarity and a stronger connection to ourselves. For those seeking to help spread the power of yoga, a teacher training course can provide a beautiful journey of health, wisdom, transformation, and mindful living. Not only will you learn the standardized core yoga teachings that will transform you into a certified teacher, but you will also discover a path to embracing life in its entirety, to realizing your greatest potential, and to passing on the legacy of yoga to others for the betterment of the world. If you're considering signing up for a teacher training course, here are five reasons you should take the leap. 1. You will come to understand the true meaning of yoga and what it means to live a yogic life. Yoga is a holistic practice for the body, mind, and soul. It encompasses physical tools, spiritual practices, philosophy, anatomy, practicum, and more. Simply learning the asanas won't transform you into a yoga instructor. But in your teacher training, you will gain a broader perspective of the science and teachings behind yoga. You will deepen your physical and spiritual practice, and learn to help students do the same. You will learn what it means to live a yogic life and will begin to impart it to everyone around you, through every interaction and every class. 2. You'll gain the tools you need to create amazing, challenging, and rewarding classes. Yoga teacher training is a fantastic route to enhance your yogic knowledge and practice. A course provides you with space and time to grow. You will learn about the history and relevance of yoga and will come away knowing how to arrange class sequence, how to appropriately incorporate hands-on training, and what it takes to create an amazing class. 3. You will set off on a path of self-realization. The spiritual element of a yoga practice is essential to extend yoga beyond the mat. Teacher training explores both the physical and spiritual elements, helping you find balance, physically, mentally, and spiritually. It is through the spiritual side that you will build a deeper relationship with your true self, accessing a heightened awareness that will propel you on an inner journey of self-realization. 4. You'll have credentials recognized around the world. If it is your heartfelt desire to become a certified yoga teacher then a teacher training program, through a certified school, is the way to go. A Yoga Alliance-approved training program will provide you with a solid base of theoretical and practical yoga lessons. Upon successful completion, you will be recognized as a skilled yoga teacher of the highest standard. 5. You'll find greater fulfilment in life. Yoga teacher training is the ultimate way to expand your mind and delve deeper into the ancient sciences of yoga and Ayurveda. As you become familiar with the enlightening lessons of yoga luminaries and the sacred books, you will learn how to implement this knowledge in all areas of your life for greater fulfilment. Yoga teacher training will not only make you a certified instructor, but it will help you live a physically enhanced and spiritually inspired life, and be an inspiration for others as well. Devendra Kumar is a yogi, traveler and a yoga teacher in India. He provides yoga teacher training classes in Gurgaon. His strong connection with yoga has led him to organize daily yoga classes, corporate yoga classes, and yoga retreats in Gurgaon.